The good news, muchachos? 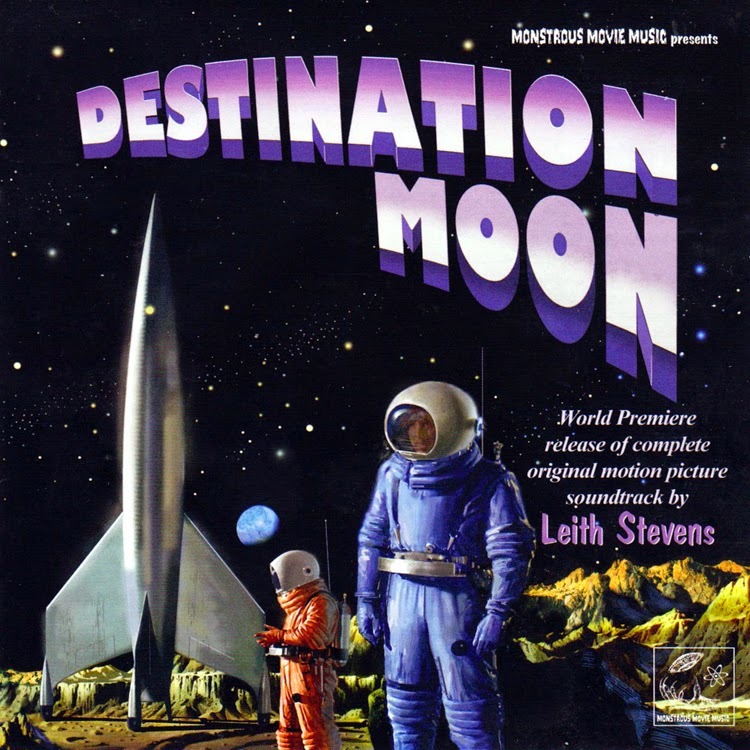 I’ve been getting clear skies, and with a fat Moon hanging over (the new) Chaos Manor South this past week, it was time to get back to my Destination Moon project. 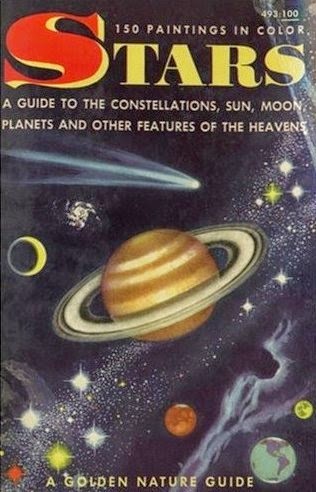 That’s my quest to observe the 300+ lunar features shown on the Moon map in my old Norton’s Star Atlas 15th edition, the hallowed book that helped Unk navigate the sky as a sprout. 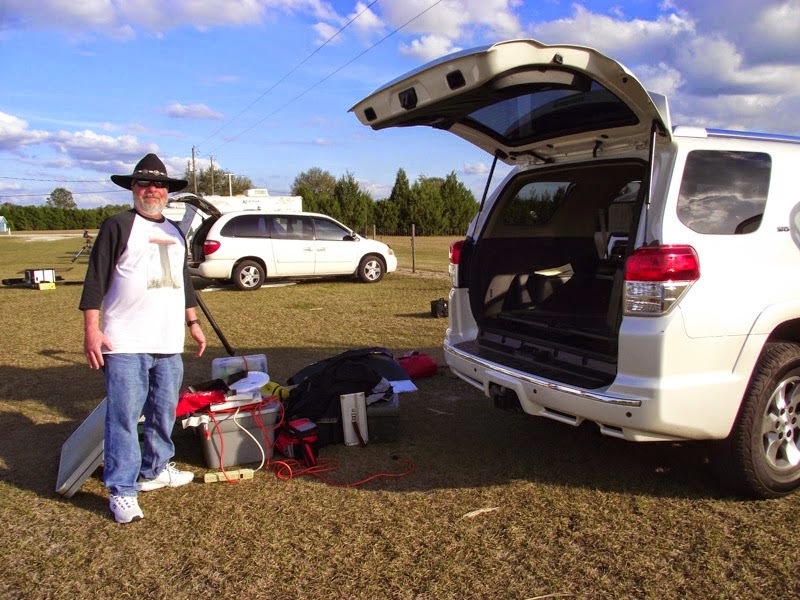 ‘Course things are never as simple as they seem when it comes to amateur astronomy, are they? While passing cold fronts had brought surprisingly transparent air, they also brought unsteady air, lousy seeing. And that is a bad thing, y’all. What matters most for lunar and planetary imaging and observing? It ain’t your scope. It ain’t your camera. It ain’t light pollution or a lack thereof. It is good seeing, a steady atmosphere for your telescope to peer up through. As the years have passed, I have ever more come to realize that is really the be-all and end-all for the Solar System. I will say, however, that the Moon is a little more forgiving in that regard that, say, Mars. If the seeing is bad enough, you won’t see much of Diana, but on semi-punk nights, you can shoot a lot of frames and hope to get some good ones in-between atmospheric disturbances. Which is just what I did. Project DM had been idle for over two months, and it was high time to get into the backyard and start kicking the crater count UP. Before we go there, howsomeever, a couple of things. First off, I promised y’all I’d let you know how Shelley, the C102 who recently cane to live at the New Manse, did on the Moon. If you read that linked blog article, or are familiar with Celestron’s refractors, you know Miss is an achromat, a 4-inch f/10 achromat. To be nearly color free, she’d have to have a focal ratio of f/15, if not f/20. At f/10, I knew there’d be some color. My awareness that there would be shades of deep purple on the Moon didn’t just come from theory. I’ve used more than a few 4-inch achromats over the last 50 years, including another C102 that Pat Rochford, who gave me this one, owned years ago. The night I looked at Luna through Pat’s previous C102, almost 14 years back, still seemed fresh in my memory. And what was in that memory seemed to be lots of purple. Not just on the lunar limb, but on the terminator, with the shadows of craters and other features being a fraking Technicolor riot. Memory can be deceiving, however. Often, we remember what we want to remember, or our mind simplifies our memories into sharper gradations of black and white (or purple). I knew that, and tried keep an open mind. I’d just see what she could do, and if my memories of that long-ago C102 in Pat’s yard turned out to be accurate, so what? The refractor would continue to do a great job on the deep sky and double stars. I waited until Luna was high in a dark sky before lugging Shelley and her AZ-4 mount out onto the deck. She only takes a little while to acclimate to our mild (for the Yankees among y’all) outdoor temperatures, and in just a few minutes she would begin delivering her best images. Anyhoo, I wanted the Moon to be as bright as possible to provide a stringent test. Verdict? Dang, just dang. The terminator was just so sharp-looking in typical refractor fashion. The welter of craters in the southern highlands was bewildering. Away from the terminator? That is where a fast achromat has trouble; the terminator may look sharp, but get out on the disk and contrast goes to pot. Not with Shelley. Features well away from the day-night line remained satisfyingly sharp. “Alright Unk, that’s fine, but you know what we want to know.” Oh, I know, alright. How was the color? It depended. On the eyepiece, on the magnification, on the position of my eye on or off axis. On the limb, there was sometimes no purple at all, just a yellow-amber rim. At its worst? There was a prominent but not overwhelming blue-purple outline to the Moon’s edge. The terminator? There was a purple tint to the shadows, but it was hardly as strong as I remembered, and after a few minutes of concentrating on observing, I purty much forgot about it. Curiously, the amount of purple in the image, whether on the limb or the terminator, didn’t seem to depend just on magnification. It also seemed dependent on eyepiece type, with there being considerably more color visible with a 20mm Plössl than with my 22mm Panoptic. The picture at left, taken by the simple expedient of pointing my cell phone down into a 35mm (Panoptic) eyepiece, suggests how Luna looked much of the time. One caveat? Unk’s eyes; his eye doctor tells him they are well on their way to needing cataracts removed. In other words, I have built in mild yellow filters, I reckon. Other than chromatic aberration, how was the scope’s performance? Amazingly good. The sharpness held in at nearly 300x despite seeing that was nothing to crow about. There was nothing in Rukl’s Atlas of the Moon, which I had beside me, that wasn’t at least hinted at in the eyepiece. One thing that is different for someone coming from reflectors? The Moon looked warmer, more yellowish, at all powers than in a Newtonian or an SCT. That is not necessarily bad; in fact it’s kind of attractive. But it will be different from what you are used to if you’ve never seriously viewed Luna with a lens scope. Given Shelley’s superb account of herself on the Moon, only one question remains: “How will she do on the planets?” Mars, unfortunately, while still hanging on in the west—where he will remain for quite a spell—is tiny and in the trees. Old King Jupe, however, is beginning to come into his own. Right now, he’s rising at just after 10 p.m. and will soon be high in the mid-evening sky. When he’s up good at 10 or 11 in the p.m., your tired old Unk will visit him with the refractor and you will hear how she does. Despite me having outlined my lunar imaging set-up a couple of times in this series, I am still getting questions about it, so bear with me while I again summarize my rig for those of y’all getting interested in exploring the Moon with a camera yourselves. While I said the telescope is not the most important thing in lunar imaging, not compared to seeing, it is still important. For high-resolution closeups, you want something that’s got a lot of focal length, whose focal length can be easily increased, and which will easily come to focus not just with a camera, but with Barlows and other stuff in the light path. For high-resolution photography of lunar details, the place you start is at 4000mm. How do I get there? I start out at 2000mm with my 8-inch Schmidt Cassegrain and double that by adding a 2X Barlow in front of the camera (“Barlow projection”). I do not, however, insert the Barlow and camera directly into the scope’s visual back. Instead, they go in a widget called a “flip-mirror” that is screwed onto the C8’s rear port. When I began doing high focal ratio imaging of the Moon, I quickly discovered it’s almost impossible to get even the big Moon in the field of a small-chip camera with just a finder scope. Even a carefully aligned finder scope. It was difficult enough to make me want to give up and carry the scope back inside before I’d taken a single shot. A flip-mirror will preserve your blood pressure and hairline. It is much like a star diagonal, but with some important differences. In addition to an opening for an eyepiece, there’s another port, on the rear of this “diagonal” for a camera. And the diagonal’s mirror is moveable. You flip it down to send images to the eyepiece, and up to send them to the camera. Find the Moon with the eyepiece, flip the mirror up, and it will be in the field of your camera. This is a huge aggravation preventer, and if you plan to do much lunar and planetary picture taking, even with a goto mount, you want one. A goto will put you on the Moon, but the flip mirror will help you find individual features. Then there is the camera. Like many of today’s Solar System workers, I am using a ZWO camera. This little wonder is somewhat like a webcam and somewhat like a CCD camera. It can take many frames per second—up to 30 at its max resolution of 1280 x 960 and many more at lower resolutions. Years ago, amateurs found the way to attain high-resolution Solar System images is to take many frames and use special software to stack the best ones, those captured during the moments of best seeing. That’s not all this little cam can do, however. It can expose for as long as 16-minutes, more than enough to capture galaxies and clusters. 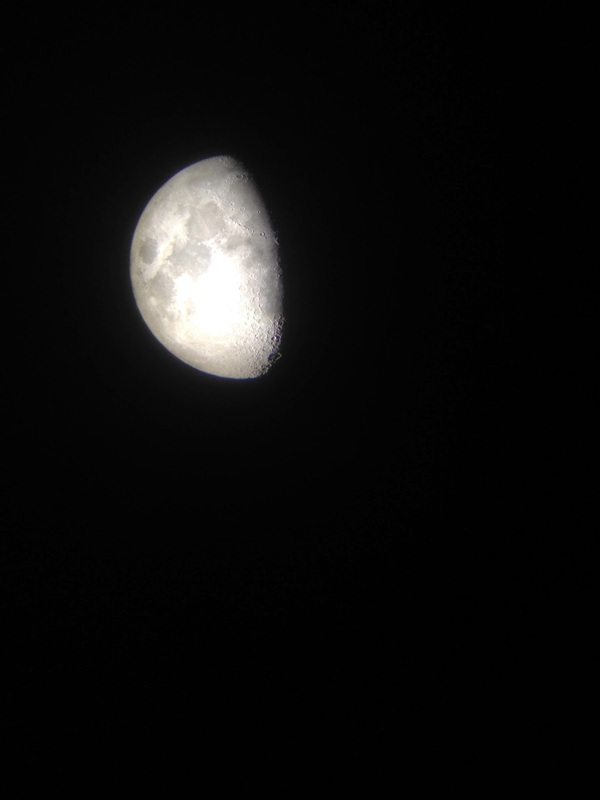 While it is uncooled and has a small (1/3-inch) CMOS chip, folks have taken amazingly good deep sky images with it. I even use mine for capturing stellar spectra with RSpec. The current versions of the camera also feature ST-4 guide ports, so you can use ‘em as guide cameras. Unk owns the color version, the ZWO ASI120MC, but a monochrome version, the MM, is available for just a little more money and is even sharper and more sensitive. The ZWO has no way of storing images; it simply sends an .avi video stream to your computer via a USB connection. You must have a computer and software to control the camera and save video on the hard drive. While the ZWO will work with many programs, the best I’ve found, the best software I’ve used for this purpose after a dozen years of working with similar cameras, is the free FireCapture. When you’ve got those .avi videos on your drive, you stack their individual frames into finished still images. What I am using to do that is an old favorite of a program, Registax. While a new soft, Autostakkert, has a lot of fans, I have had varied success with it. Sometimes it works better than Registax; sometimes I can’t get it to work at all. That’s likely pilot error, and I am continuing to play with the software. I told y’all I use an SCT for my Moon pictures, but I didn’t mention which one. While I’ve used my Celestron Edge 800, Mrs. Emma Peel, with great success, I’ve mostly worked with my 1995 Ultima OTA, Celeste. Why? Simply because she is set up to use a JMI Motofocus motor, which makes getting sharply focused images easier. The night after I took Shelly into the silv’ry moonlight, I was out again with Celeste and my ZWO cam. I’d set up in the late afternoon with the scope positioned on the ground next to the deck. I’d sit at the table on the deck with the PC and run the show from there. Before I could get going, though, a couple of things intervened. First, Pat called needing advice on getting his new SynScan mount going to its gotos properly. When I rung off with him, I noticed the consarned Moon had still not cleared the gum tree. 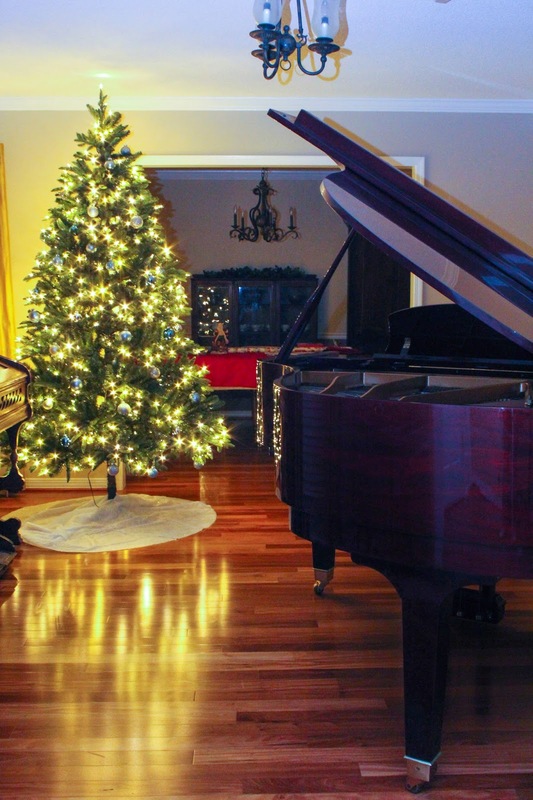 That tree’s days are numbered, y’all, I swear. 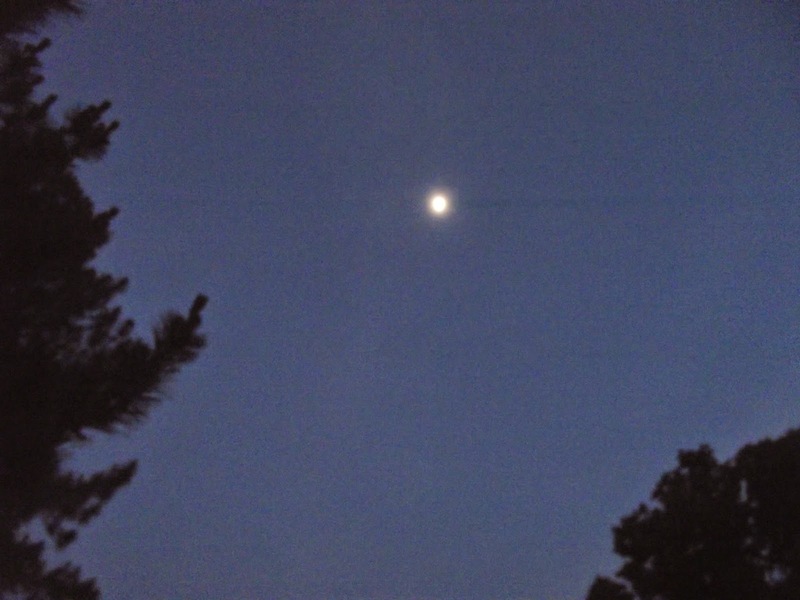 When the Moon was out of the limbs half-an-hour later, I headed back outside and set the laptop up on the deck. First thing I noted? At 7:30 p.m., the glass tabletop was already wet with heavy dew. Rut-roh. I hadn’t installed the DewBuster heater and heater strips on the scope. Usually, I can get by with just a dew shield in the backyard, but not on this evening. A check of the corrector showed it was, yep, fogged. I got my little dewzapper (12-volt window defroster) gun out of the shop and zapped the dew off. I knew it wouldn’t stay off, so I headed inside and returned with the ‘Buster and a corrector heater strip. Got those things on Celeste, turned the controller up to 10-degrees above ambient, and there was no more trouble with dew for the remainder of the evening. Next, I did a 2 + 4 goto alignment with the VX mount, and then essayed an AllStar polar alignment (at high focal ratios, good tracking is important). With the VX purring, I cabled the camera to the Toshiba Satellite laptop with a USB cord, and ran the motofocus motor’s cable to the deck (using extensions) so I could sit at the computer and focus. When all that was “go,” I booted up FireCapture, got the lunar terminator focused, and started the other software I use during lunar imaging, Virtual Moon Atlas. Not only does VMA help me navigate the maze of lunar craters, its Notes function informs me as to whether I’ve already imaged a particular feature or not. When I am finished with a crater or mountain, I select it and enter “imaged” and the date in VMA’s “notes” tab. It’s a little like using a deep sky planner/logger for the Moon. Oh, as I have mentioned here before, VMA also provides lunar goto. Why would you need goto for the freaking Moon? It is a tremendous time-saver. Even if you are reasonably familiar with the lunar surface, like Unk is once again becoming, it’s easy to get lost when you are looking at a very small portion of the surface at f/20 with a small chip camera. VMA uses ASCOM, so I can use the on-screen ASCOM “hand control” to center a crater without worrying about fooling with the mount’s HC. When I’ve got a known feature in view, I “sync” on it with VMA and am good to go. I accidentally synced the program on the wrong feature in the beginning this time, and it took me a while to get that sorted, but before long me and Celeste was rolling. So, what did we roll with? I thought I’d start with Albategnius, a large and impressive formation adjacent to the crazy-good triple threat of Ptolemaeus, Alphonsus, and Arzachel. Unfortunately, my Notes entry said I’d already gotten it. The seeing was briefly steady, though, and as I had not officially shot the smaller crater that intrudes on the east wall of Albategnius. I centered up Klein and fired off a thousand frames. 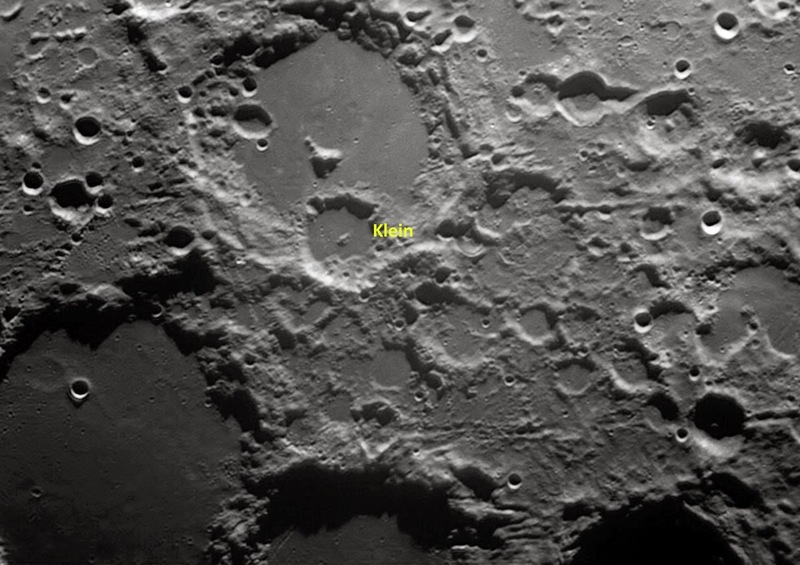 Klein, which is medium-sized, 45.0 x 45.0Km, is interesting, with a mostly flat floor, but one that is festooned with numerous small craters and a central peak. This crater is old, apparently dating from the Nectarian Age (3.92 billion to 3.85 billion years ago), and looks it, with its rim having been badly pummeled and covered with smaller craters. 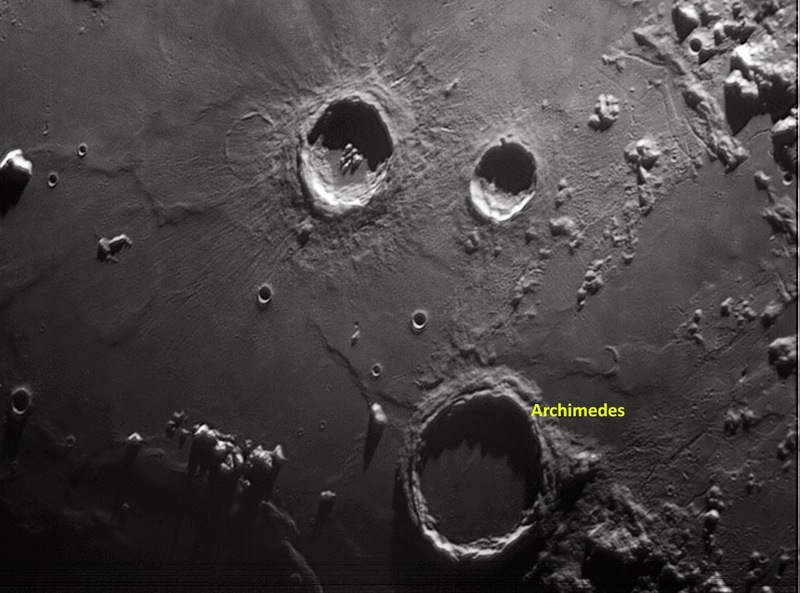 After Klein, I temporarily headed back north where I noticed the fantastic dark-floored crater Archimedes was emerging from lunar night. Frankly, I was surprised I hadn’t photographed this one before, but I hadn’t. At First Quarter, Archimedes is particularly prominent. It is also set in an intriguing area on the shores of Mare Imbrium not far from the lovely crater pair of Autolycus and Aristillus. What is Archimedes like? This 83.0Km. round crater is a lot like Plato, with a dark lava-covered floor scattered with craterlets. With it just coming into the dawn, the shadows from Archimedes’ mountainous rim obscured much of the floor in my shot, but were very photogenic. Looking at those shadows, you can sure see why pre-Apollo space artists like Chesley Bonestell portrayed the Moon’s mountains as needle-tipped spires. Archimedes is a middle-aged crater dating from Upper Imbrian (3.8 billion to 3.2 billion years ago) times. Just to the north of Archimedes’ area, you’ll find nice smaller crater, Theaetetus. While it’s only 25Km. across, it looks prominent thanks to steep, sharply defined walls. The crater, which likely dates from the Copernican Age (1.1 billion years ago to present day), is far younger and more fresh looking than most of the formations in the region. Also to the north of the Archimedes area and out in the “waters” of Imbrium is one of the non-crater formations on my list, Mons Piton, a 2250 meter peak peeping above the lava sea. Dating from Imbrian times, Mons Piton looks steep and sharp, though Apollo images show it as rounded and “weathered” like other lunar mountains. This area is littered with solitary peaks, the remnants of lava-drowned mountain ranges. If it were located anywhere else, the medium-sized (42km.) and young crater Herschel (named for Sir Willie himself, natch) would be a real standout. Unfortunately, lying just to the north of the trio of Ptolemaeus, Alphonsus, and Arzachel means it gets overlooked. It is attractive, however, with terraced walls and a complex floor, which was unfortunately still in shadow when I made its portrait. Now here’s a crater for you—though it should really be called a “walled plain.” Ptolemaeus, with Alphonsus and Arzachel, is the most distinctive feature of the First Quarter Moon. Ptolemaeus is the largest of the three big craters at 154.0 x 154.0Km. While distinctive, it is old and softened, having been formed in the Pre-Nectarian Age (4.55 billion years to 3.92 billion years ago. The floor of this great walled plain is surfaced with lava and cluttered with numerous craterlets. One of those craterlets, Ammonius, is large and prominent enough to bear a name rather than just a letter. The south side of Ptolemaeus has been intruded upon by neighboring and younger Alphonsus. My favorite crater? Like most other folks, it’s Copernicus. But Alphonsus is in the running, y’all; it is magnificent. Despite its age—it dates from the Nectarian—it is still well defined and offers a ton of detail for visual observers: a craterlet-riddled floor, a compact central peak, and an extensive network of rilles. Due to its large size of 118Km in diameter, it, together with the two neighboring craters, Alphonsus and Arzachel, puts almost everything else on the terminator at First Quarter to shame. There is also romance wrapped up with Alphonsus. 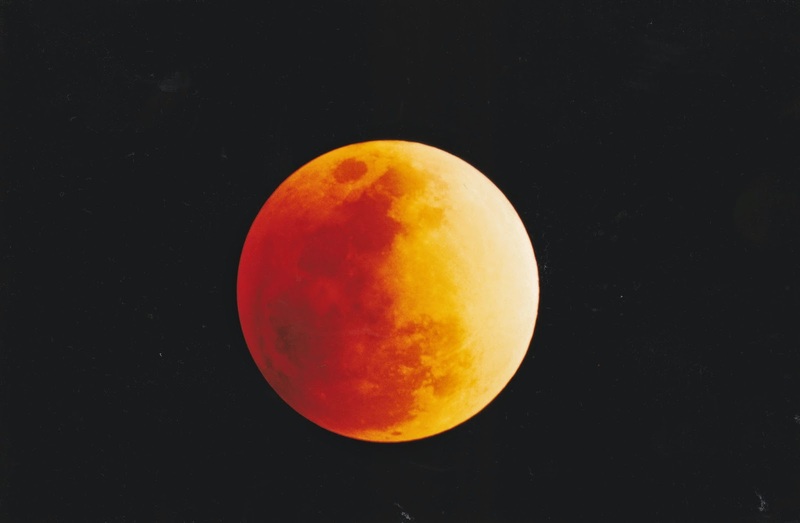 Do you know about Transient Lunar Phenomena? Also known as Lunar Transient Phenomena (LTP)? 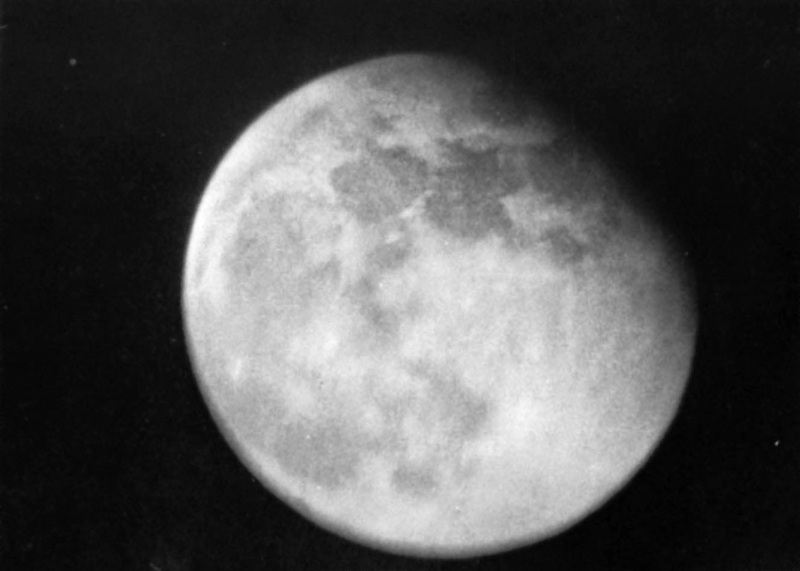 Over the centuries since humans began scrutinizing Luna with telescopes, odd things have been seen on her surface—glowing clouds, obscuring mists, and strange lights. 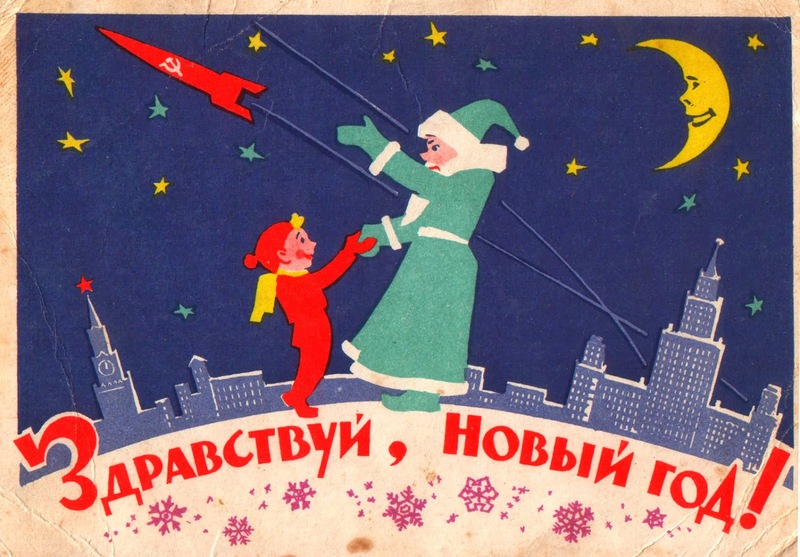 Alphonsus has been the site of numerous LTP reports, including a famous one by the Russian observer Kozyrev in November 1958. 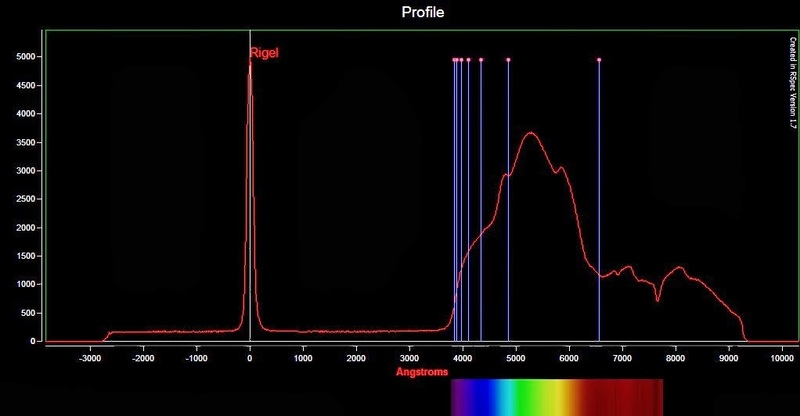 Kozyrev didn’t just see a glow on the crater floor, either; apparently he obtained a spectrum of it (which seemed to be the emission spectrum of carbon). Do I “believe” in LTPs? Maybe not as strongly as I believe in another legendary Solar System mystery, Venus’ Ashen Light (which I’ve seen for myself), but I do think some of these weird lunar phenomena are real, whatever they are. If Alphonsus is in the favorite-crater running, Arzachel, the third of the First Quarter Big Three, is right behind Copernicus. While it is smaller than Alphonsus and Ptolemaeus at 98.0Km. across, it is slightly younger than its mates, dating from the Lower Imbrian. It looks fresher, and more like a crater than a walled plain. Its terraced walls and a central peak accompanied by a large craterlet and a rille are a sight to see at lunar dawn. We have to journey south of Arzachel across 460Km. of increasingly rugged lunar terrain to come to our next stop. Walther is another flat-floored walled-plain with a lot to offer observers. At 141.0Km. in size, it stands out well even in small scopes. Alas, nobody much seems to look at Walther—I don’t hear it much talked about anyway. Appearance-wise, this is an old formation dating from the Nectarian, and looks it with heavily damaged walls and a “tormented” floor. The northeastern area of the crater’s floor has been heavily pounded and is a welter of ridges and large craterlets. 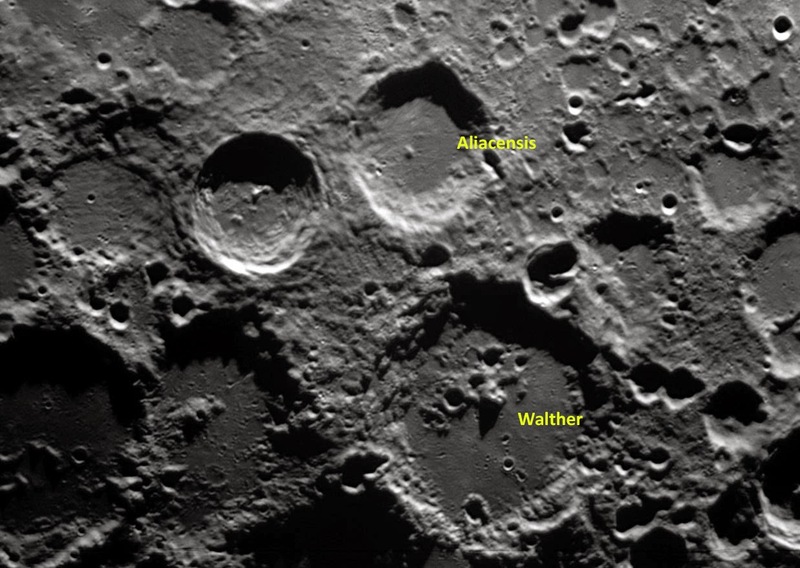 Aliacensis lies northeast of Walther, and is adjacent to a similar-sized crater, Werner. Like Walther, Aliacensis is from the Nectarian, and has a soft look in contrast to younger Werner. At 80.0Km in diameter, Aliacensis is nevertheless impressive and sports many craterlets and wrinkle-ridges on its flat floor along with a small, heavily weathered, off-center peak. With haze and fog creeping in, I hopped back north to the area of the Central Sea, Sinus Medii, for one last pickup. This location, between the rough southern highlands and the northern plains is detailed and interesting and includes the Triesnecker Rille, the oddly shaped crater Ukert, and more. Pallas itself is a heavily damaged walled plain 50.0Km across that comes from Nectarian times. 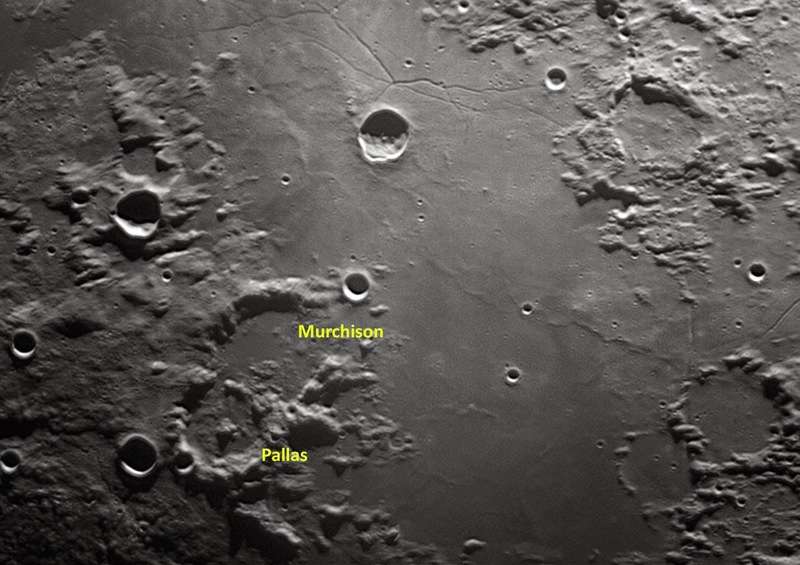 There’s a large and rounded central peak, and a gap in the walls to the east that gives passage into an even more heavily damaged crater, Murchison. And just as I clicked off the last few frames of Pallas, the fog began to move in in earnest. Shortly, I was drenched and so was the laptop. If I’d a-had good sense, I would have put up the patio table’s big umbrella, which would have kept me drier, but, alas, I didn't have good sense. I hoped I had a pretty good haul of lunar images, anyhow. Big Switch Time. Next morning, as I began processing my sequences and ticking them off the old Norton’s list, I was pleasantly surprised, mucahchos. The seeing hadn’t been great, but Registax was able to pull out plenty of pleasing detail. It is unexpected triumphs like that that keep me coming back to my lunar imaging project. Actually, I’d keep coming back to the Moon, project or no. Diana’s silv’ry countenance has kept me enthralled for half a century, and there’s no sign our love affair, at least, is going to wane. 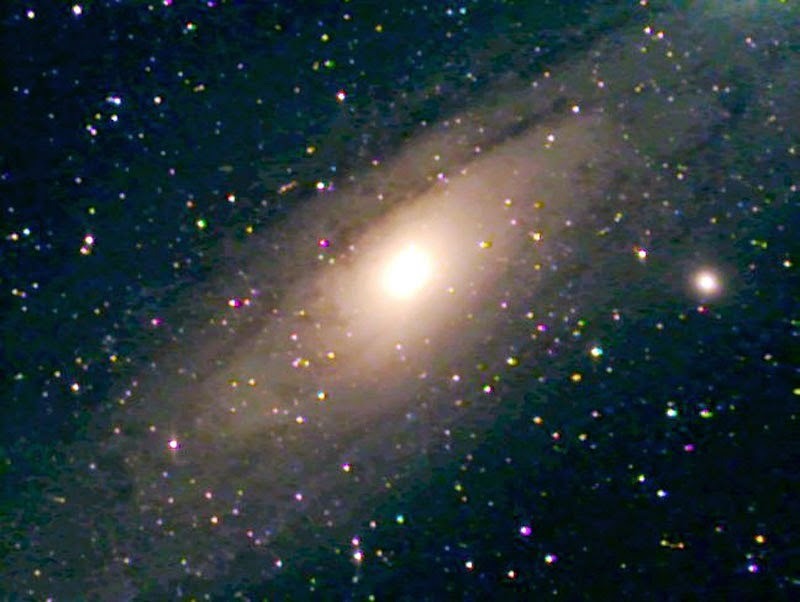 I reckon I am not the only amateur who loves M31, “Andromeda,” as me and my buddies in the legendary Backyard Astronomy Society called it when we were kids. And I am probably not the only amateur who’s had a decades long love-hate relationship with the big galaxy. For Unk it was most assuredly more hate than love in the beginning. What was it that li’l Unk longed to see more than anything else in the months between his first look at a telescope that seemed attainable, Stephanie’s Telescope, and receiving his 3-inch Tasco reflector? Which pictures did he spend hours mooning over in Stars and in Universe (from the old Science Service), his only two astronomy books? Why galaxies, of course. Gorgeous spirals like M101 and amazing edge-ons like M104. When Daddy came into li’l Unk’s bedroom early one spring morning in 1965 bearing that Tasco in his arms, I felt like the whole Universe was about to open before me. I was realistic, however. 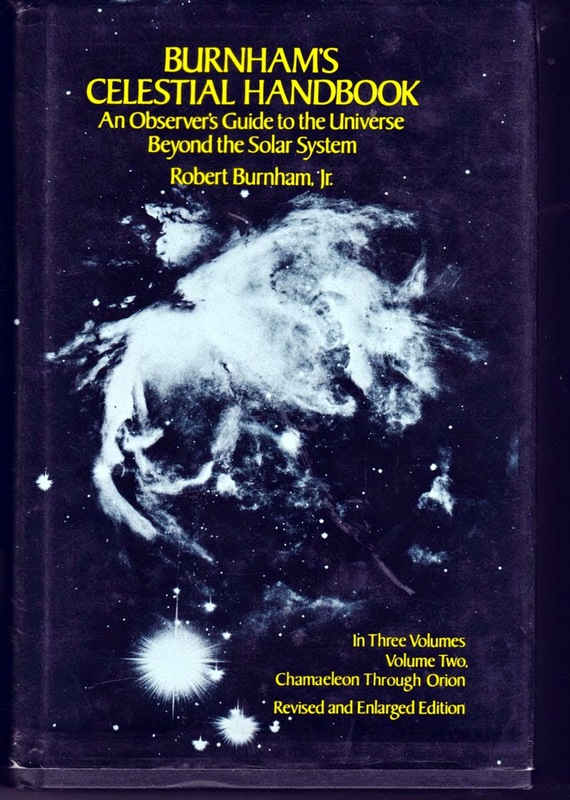 I’d learned enough from the only advanced astronomy book Mama had on her shelves at Kate Shepard Elementary, Patrick Moore and Percy Wilkins’ How to Make and Use a Telescope, that 3-inches might be a little small for looking at most galaxies. That was OK. I’d also learned M31, The Andromeda Nebula (as it was still often called in them days), was close, big, and bright and would be coming round with the autumn stars in just a few months. Not that I didn’t hunt a few of the spring galaxies before then. To no avail. I didn’t know what a galaxy should look like in my telescope, and especially not how dim even the ones the books called “bright” would be—I thought M51, for example, should look about as bright in my eyepiece as it did in the pictures, just smaller. It also didn’t help that my scope didn’t have a finder—it had a pair of peep-sights instead—and that I had no idea how to star hop. Even if I'd had an inkling of how to locate objects I couldn't see with my naked eye, I didn't have star charts good enough to help me do so. I had plenty of fun with the few deep sky objects I could find, mostly bright open clusters. The Tasco’s optics were on the putrid side, and stars and star clusters looked considerably better in her than the Moon and planets. Still, that was just a prelude. 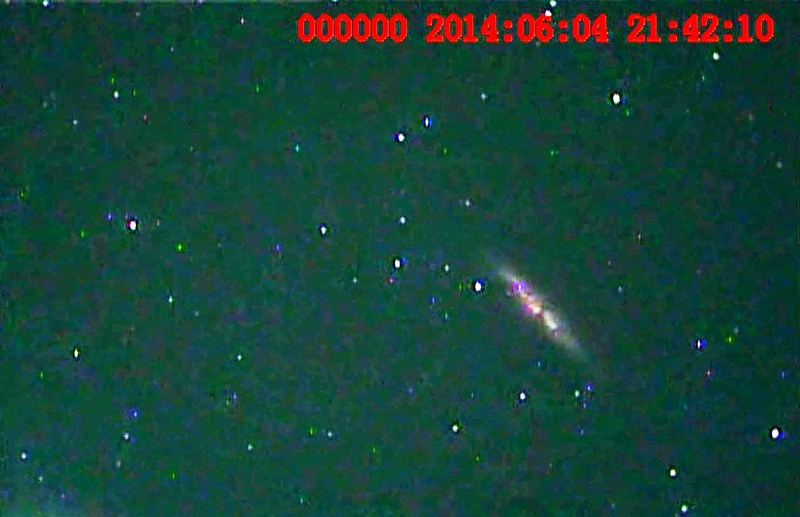 As soon as September, I knew, knew, I’d be glorying in the sight of the huge spiral M31. 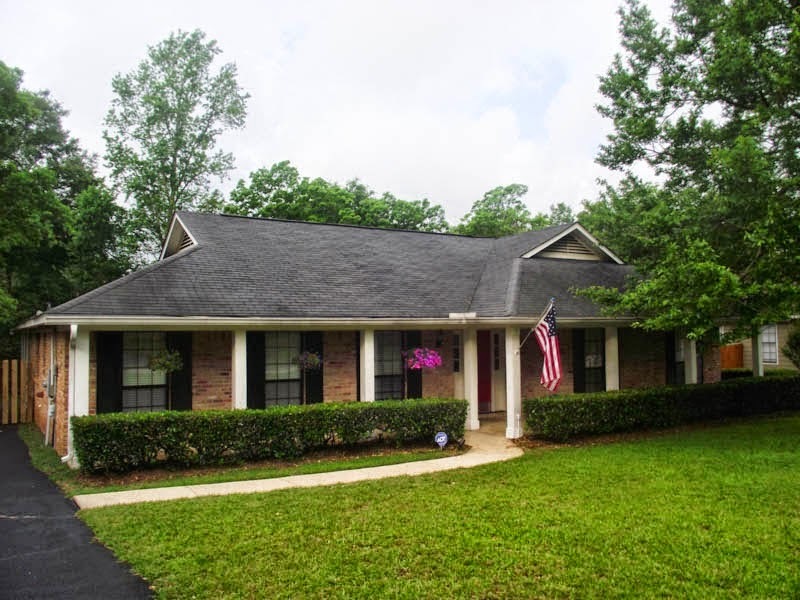 Anyhow, on the first clear Friday or Saturday night in late September, I was in the front yard with the Tasco (the house blocked objects low in the east from out back). I suppose it's amazing I managed to find M31 at all—after about half an hour of hunting. Or maybe not so amazing. By this time, I at least had enough sense to use my longest focal length eyepiece (about 30X) for finding. M31 is huge enough to be hard to miss, anyway, and I now had a subscription to Sky & Telescope and could use its monthly star chart to get me in the general vicinity of the galaxy. I put my eye to my little .965” eyepiece expecting, as usual, not to see nuthin’ at all, but there was indeed something there. Not much of anything, but something. What there was was a big, round fuzzy ball. I kept staring and I eventually saw the ball was set in a streak of nebulosity that extended well beyond the puny field of my eyepiece—likely a Huygenian with a 30-degree AFOV. At first I wasn’t convinced this was Andromeda, but a moment’s reflection assured me it must be. All the books talked about how bright the galaxy was, and what else even this bright would be here? Did li’l Rod jump for joy and run into the house hollering that the Old Man just had to come out and look right now? Nope. I was badly disappointed and a little embarrassed for my poor little scope. 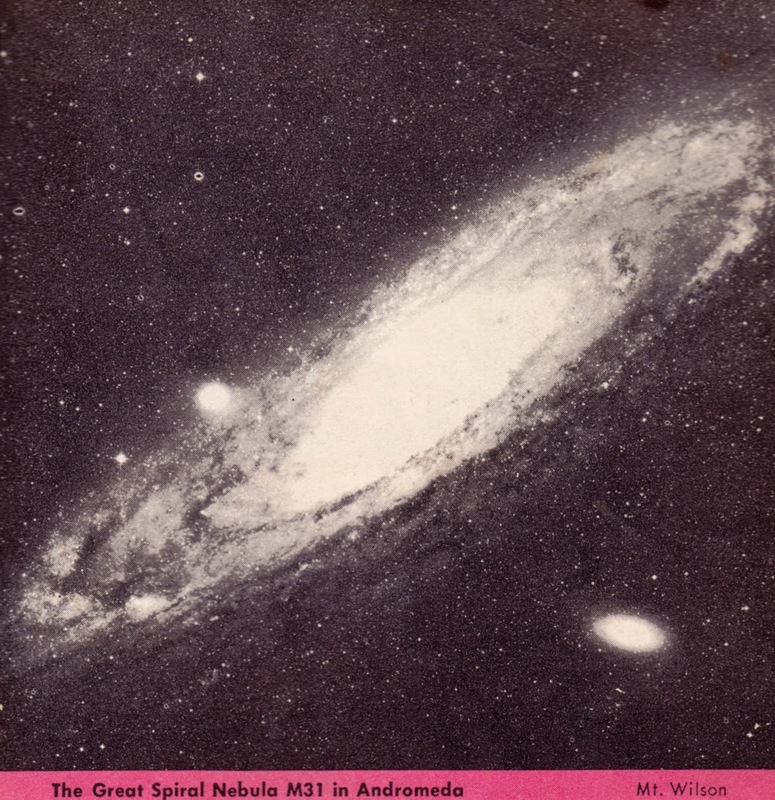 The pictures of Andromeda in my books, including the shot done by the Mount Wilson folks, didn't make the galaxy look like M51 or M101. M31, it was clear, didn’t have the out-flung arms of those galaxies, but it still looked better than this mess, this fuzzball set in a saucer of dimmer fuzz. But…but…everything I read insisted M31 was bright. To li’l old me, that implied my telescope should show detail like in the pictures, just a lot smaller and maybe a little dimmer. Well, then, could my problem be that Andromeda was still too low in the east and in the light dome from nearby Highway 90 with its hordes of neon-adorned motels? So, I waited a while, till Thanksgiving Vacation—when Mama couldn't complain about me using the telescope on a dadgum weeknight. In late November, the sky was taking on that beautiful, dark appearance fall’s passing cold fronts bring. Orion was peeping over the trees in the east just before Mama hollered me in each night, but the target for this evening was M31. The result was yet more disappointment. Yes, Andromeda looked a little better. The ball looked brighter and so did the saucer it was sitting in. But that was it. I didn’t see dark lanes or star clouds or nothing else. The problem, I reckoned, was that my Tasco was just too puny, and, like generations of amateur astronomers before and since, I began dreaming of MORE APERTURE and scheming as to how to get it. The Great Nebula in Andromeda. This grand spiral is visible to the naked eye as a hazy star, and is the brightest spiral in the sky. A most interesting object: with low telescopic power, a large, bright elliptical mass; more detail and spiral structure are seen with larger instruments. Most interesting, huh? Well, that meant it had to be more than just a fuzzball floating on a sea of thin milk, didn’t it? Just as the Tasco had, the Palomar Junior came to me in the spring of the year, the late spring of 1966, so I had to wait months to see what, if anything, it would do to improve M31. At least I would be able to find it more easily now. The combo of more aperture, a (small) finder scope, Norton's Star Atlas, and me learning to star hop thanks to the help of my buddies in the vaunted BAS, meant I was beginning to knock off the brighter Messiers. I was heartened that every one of ‘em looked better than in the Tasco (those few I’d even seen in the Tasco). “Well hell!” Li’l Unk exclaimed at his first sight of M31 with the 4.25-inch. It sure was a good thing Mama wasn’t in earshot, because the words that came next wouldn’t just have caused her Profanity Meter to twitch, but to redline. The galaxy didn’t look better than it had in the Tasco; if anything, it was worse. If the central area was brighter, it wasn’t much brighter, and it filled more of the field, with the disk of M31 being less visible with my new 1-inch Kellner (no silly little millimeters in them days) at 48x than it had been with the Tasco’s lowest power, 30x. Was the Pal somehow BROKEN? Nope. A side trip to the (bright) fuzzball of M15, which I’d conquered not long before—with some difficulty—showed the scope seemed to be working well. The obvious was finally staring me in the face. M31 was big. Real big. What the books said regarding its size, two-and-a-half degrees, was finally sinking in regarding just how huge this thing was in the sky. Almost five times bigger than the field of my Kellner. While I wasn’t sure, I suspected this large size might be the reason it didn’t look anywhere near as bright as the magnitude I’d seen listed for it in the New Handbook, 4.3, implied it would. That was just a suspicion, and it took a while longer for me to learn “bigger” always equals “dimmer” when it comes to extended objects. So, that meant a big scope wasn’t appropriate for the thing. But who wanted to fool with small telescopes? And how did big observatories like Mount Wilson get pictures of the whole thing? I didn’t know pea turkey about wide-field cameras or mosaics. I just figgered they slapped a camera on the 100-inch in place of its eyepiece and snapped away, just like I did with my Argus 75. I put it down to THE MYSTERIES OF PROFESSIONAL ASTRONOMY, and decided I might as well just move on. Wasn't nothing for it; I had to admit Sam Brown, in the other book that came with the Pal, his How to Use Your Telescope, had nailed it. In contrast to the New Handbook’s “most interesting,” Sam opined that all I would probably see of Messier 31 would be the round glow of the galaxy’s center. I suppose before we take another step, campers, I really ort-ta stop and do the just-the-facts-ma’m thing. Messier 31, a.k.a. 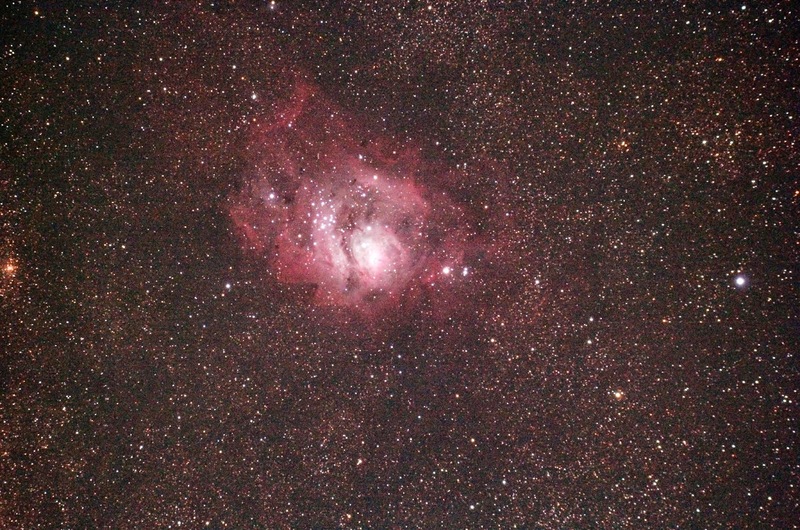 NGC 224, a.k.a. PGC 2557 is a type Sb spiral galaxy. It is nearly edge-on to us, which is what prevents it from making a show with its spiral arms, which are somewhat tightly wrapped, anyway. It is bright, as you’d expect, since it is close, a mere 2.6-million light years away. Even in these light polluted days, it is still visible from half-way decent suburban locations as a fuzzy star about 4-degrees west of magnitude 3.9 Mu Andromedae, the second star from the end of Andromeda’s western chain of suns. If you could smoosh M31 down to a pinpoint, it would look about as bright as Mu. A small, short focal length telescope is a good telescope for M31, but wider field eyepieces can make it better in any telescope. My first dream scope, a Cave f/7 Newtonian I got in the 1970s, was of moderate focal length, but my eyepieces were still of the soda straw apparent field variety. Orthoscopics. Kellners. Even a fugitive Ramsden or two. Oh, I had my eye on the More Better Gooder eyepiece-wise, a lovely Edmund Scientific Erfle I’d wanted for a long dang time, but buying the Cave had temporarily exhausted my treasury. Before I could get a-hold of a wider field eyepiece, I’d grown tired of hauling the long-tubed Cave into the foothills of the Ozarks in my Dodge Dart in the dead of Arkansas winter and sold it, replacing the Newtonian with a C8 Schmidt Cassegrain with 2000 dadgum millimeters of focal length. Unsurprisingly, the C8 wasn’t very good for looking at M31, at least not the galaxy as a whole, not with my eyepiece lineup. In the years that followed, I would wander over Andromeda way occasionally, for old time’s sake, but didn't pay serious attention to the galaxy again for a long time. Not till the mid 1990s, when the Celestron f/6.3 reducer and ultra-wide-field eyepieces like the Naglers made my C8 into a lean, mean Andromeda machine. Wider is better for this object. Sometimes. 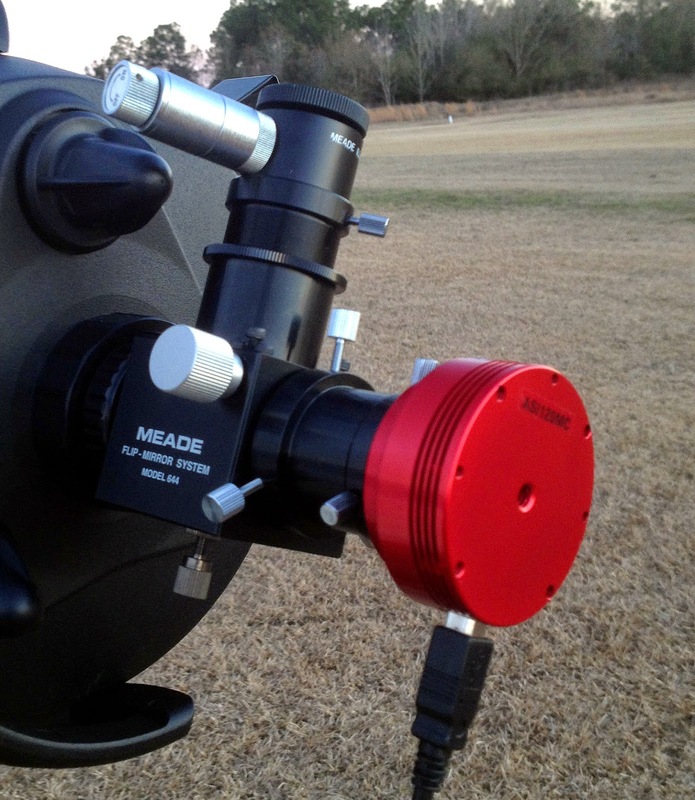 What was brought home to me one night at the Peach State Star Gaze, however, was not so much that, properly equipped, the C8 could take in a lot—though hardly all—of the enormous galaxy, but how much there was to see of Andromeda at all magnifications and field widths. I didn’t really set out to tour M31 at the 2001 PSSG; it just happened. I was tired after the drive up to Jackson, Georgia and didn't want to spend hours hunting hard stuff. M31 was bright and well-placed for observing. Also, I’d piggybacked my new Celestron Short Tube 80 on the C8, and I figgered that little bird ought to be a natural for the big galaxy. I gave M31 plenty of time that night and saw one hell of a lot, from its tiny star-like nucleus, to subtle, barely visible details near the nucleus—hints of odd, branching dust lanes—to the immense star cloud NGC 206, to two dark lanes in the disk. This was the best view I’d ever had of the satellite galaxies, which were big and bold. I didn’t stop with them, though. I hadn’t intended to spend much, if any, time looking at M31, but before I’d left home, I’d had the idea that if I did get around to it, I might try for the ultimate concerning that object. I’d brought along a finder chart that pointed the way to M31’s most prominent globular star clusters. I spotted the brightest of them, G1, with fair ease. It didn’t look like much, just a slightly fuzzy star, but I was gobsmacked to think my humble C8 could show me a globular cluster of another galaxy. The most amazing thing? When I pumped up the power, G1 actually began to look a little like an unresolved glob. It wasn’t much different, really, from the smudge of M15 in my 3-inch Tasco on that long ago night. While the C8, my Ultima C8, Celeste, showed Andromeda’s details beautifully, the Short Tube refractor delivered the big picture—in spades. In the 80mm f/5, M31 really looked like a galaxy for once. The little scope picked up both dark dust lanes with fair ease, and the big disk just seemed to stretch on forever. If all I’d seen at that star party had been that vision of the great spiral in the little ST-80, the trip would have been worth it. M31 was riding high, so why not? 8mm may sound like a lot of magnification to use on this elephant of a galaxy, but it really is not, not if you want details instead of just the big picture…I saw more of M31 than I’d seen in a long time. Heck, I don’t know I’ve ever had as good a view of this monster with any scope. Start with the dark lanes. Two were starkly visible. The satellite galaxies, M32 and M110? M32 nearly ruined my night vision. M110 was large—huge—and I seemed to see some sort of fleeting detail near its core. 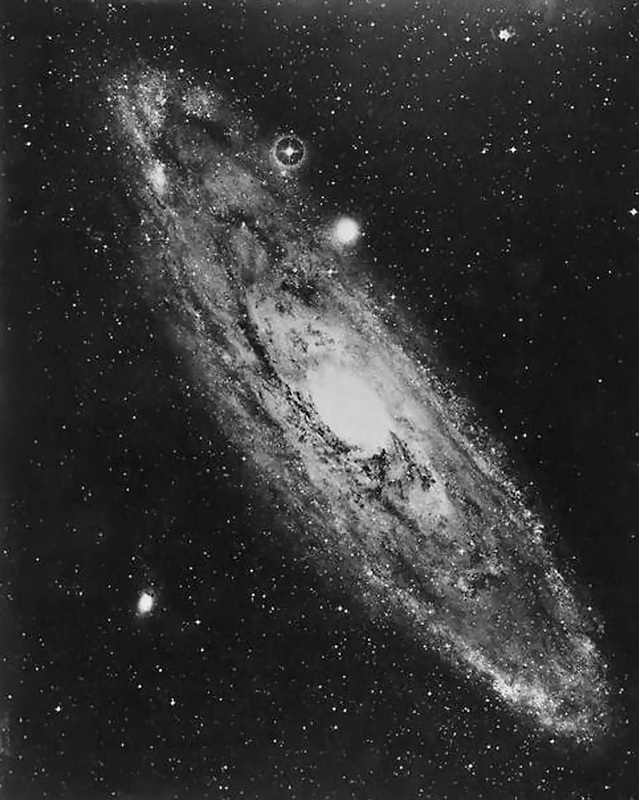 Speaking of galactic nuclei, M31’s core...was not merely “star-like,” it was a tiny blazing pinpoint. I also noticed that something I have had a lot of trouble with over the years, the galaxy’s enormous star cloud, NGC 206, was not merely “suspected” or “visible,” it was bright and easy. 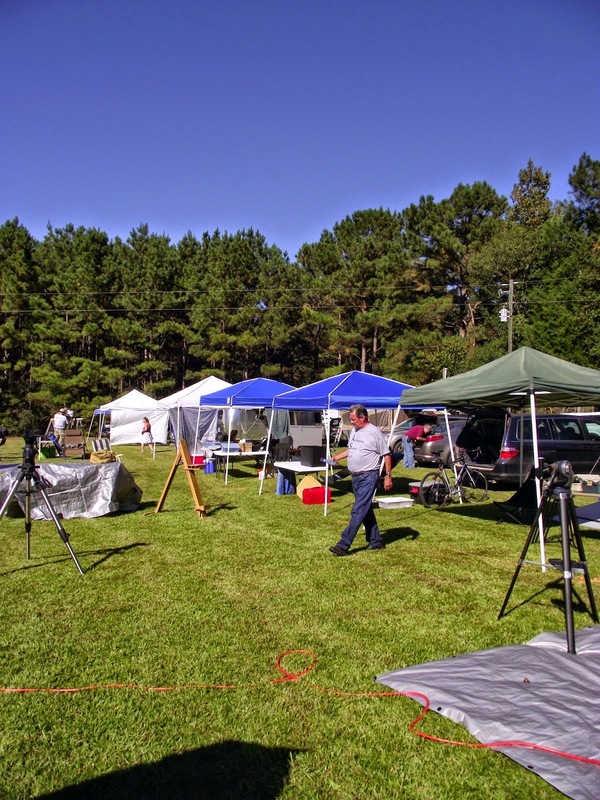 In the years since, I’ve never quite equaled that observation, though I came close one fairly recent night at the Deep South Regional Star Gaze. While the galaxy was similar in majesty, NGC 206, which I use as a yardstick to how “good” the galaxy is on any given evening, wasn’t as prominent. How about picture taking? Curiously, I’ve never really gotten a decent shot of Andromeda. Probably because I haven’t done much trying. Oh, I snapped a few frames with my Yashica SLR and my Cave back in the hallowed Day, but the question regarding my results was always, “Is that M31 or a custard pie?” I have had several wide-field refractors in addition to the ST-80 over the years, but only once have I slapped a camera on one and turned it to M31, and that was kinda as an afterthought. In January of 2009, I had a big expedition to the Chiefland Astronomy Village planned. I was out to kill the deep sky with my NexStar 11 and my Stellacam 2 deep sky video camera. One of Unk’s doctors put the kibosh on that. It seemed I had developed a small and non-threatening skin cancer on my forehead that nevertheless had to be removed, which took place the fraking day before my trip. Unk was not about to be robbed of his CAV fun, though Miss Dorothy was skeptical. She was reassured when I promised I’d leave the big, heavy 11-inch at home. I’d back off to the C8 and my CG5 German equatorial mount. Almost as an afterthought, I threw my 66mm William Optics SD refractor and my old Meade DSI camera into the Camry and was off. At the site, I found the surgery had affected my stamina more than I’d expected. It was also some of the coldest weather I have experienced down south in Florida. So, I spent my nights at the CAV “just” looking at pretty things, both with the C8 and with the refractor, which I’d piggybacked on the SCT, and with testing new hand control firmware. 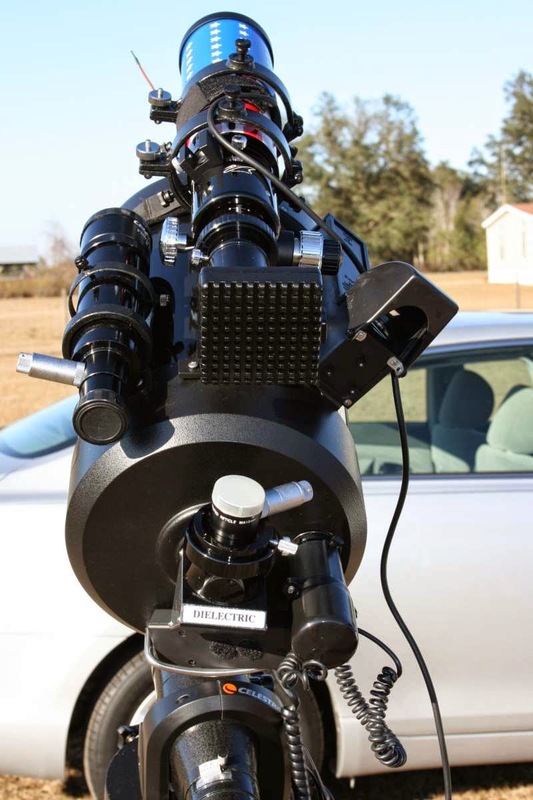 One element of that updated firmware was Celestron’s spanking new AllStar polar alignment procedure. How would I test its effectiveness? Why not slap the DSI on the refractor and do some unguided 30-second shots of…well…how about M31? The resulting frames were certainly not masterpieces, but they did show that the polar alignment system worked, and they did allow me to claim I’d finally taken a recognizable picture of the galaxy. I hope to do better soon. In the past, I’ve never been much interested in wide field photography, but that seems to be changing. As soon as M31 is in the west and out of the Possum Swamp light dome again, I may get that old 66mm scope out of mothballs and see how she'll do on M31 with a modern DSLR. Messier 31, the Andromeda Nebula (I guess I will never stop calling it that), has been a challenge for your old Uncle for near 50 freaking years. I probably won't surpass that look at Andromeda down in Chiefland in '08, but I’ve got a long way to go with it astrophotography wise. Maybe that is a good thing, muchachos; it feels good and right that the book isn't quite closed on Andromeda for me yet.